The French magazine L'ILLUSTRATION 22 May 1915 shows a picture of a soldier in a trench throwing one of these and the title refers to it as a 'Racquet' bomb. Units like these were hobbled together near the front line by the French and English alike. As new armaments became scarce during the early years of the war, men at the front improvised. 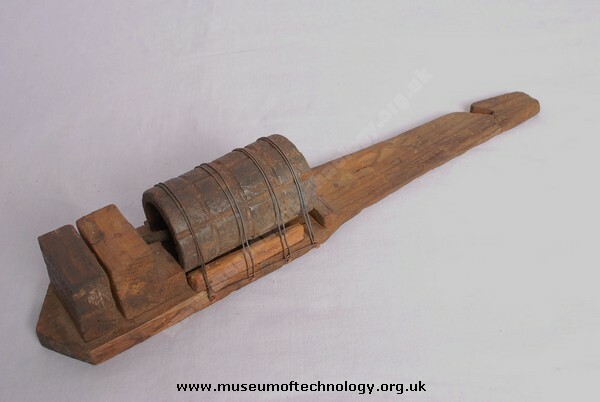 Using a casing from a Battye Bomb that was usually thrown on its own, and attaching it to a handle improved the distance it could be thrown, containing Black Powder and lit by a simple fuse such devises could be quite affective.